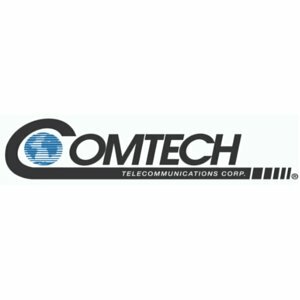 Comtech Telecommunications Corp. announced that during its fourth quarter of fiscal 2018, its Tempe, Arizona-based subsidiary, Comtech EF Data Corp., which is part of Comtech's Commercial Solutions segment, received a $2.3 million order for satellite modems from a major U.S. Department of Defense (DoD) contractor. The order specified the DMD2050E MIL-STD-188-165A/STANAG 4486 Edition 3 Compliant Universal Satellite Modem, which will be utilized to support the U.S. Army Project Manager (PM) Tactical Network. The DMD2050E Satellite Modem is designed to comply with the widest possible range of U.S. Government and commercial standards and is compatible with the largest number of satellite modems in the industry. It is fully compliant with MIL-STD-188-165A (all terminal types), fully complies with STANAG 4486 Edition 3, as well as the IESS-308, IESS-309, IESS-310 and IESS-315 commercial standards. "We are honored to be a satellite communications infrastructure equipment supplier to the U.S. Army," said Fred Kornberg, President and Chief Executive Officer of Comtech Telecommunications Corp. "This order is an example of the U.S. Army's confidence in Comtech to deliver equipment to support its unified tactical network for enabling cohesive mission command."